Night two of two at Fenway Park in Boston, and Bruce walked out with just Roy Bittan at the piano to open with a rare, acoustic version of “Thunder Road” which most know from the opening of the Live/1975-'85 album. 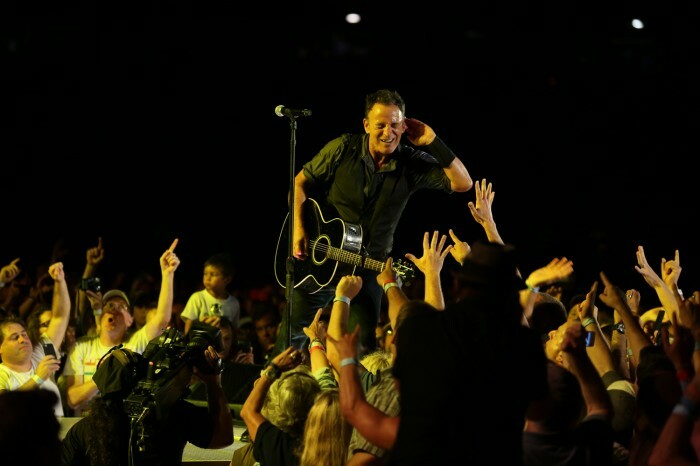 Bruce and the Band had them cheering before their feet even hit centennial Fenway soil tonight, and they kept earning it all night. The band joined hands briefly before heading onstage to deafening volleys of "Take Me Out to the Ballgame" over the PA system and from the fans. Stevie was on showcase from the start, laying down powerful vocals on "Summertime Blues" and "Two Hearts," not to mention guitar solos and pulling a young Bostonian boy onstage to help him douse an "exhausted" Bruce midway through the encore. As Bruce put it, "We're in BOSS-town, Steve's home town." Stevie's reception from the field was raucous, and his enthusiasm for his hometown was evident every time he struck a chord or stepped up to the microphone. 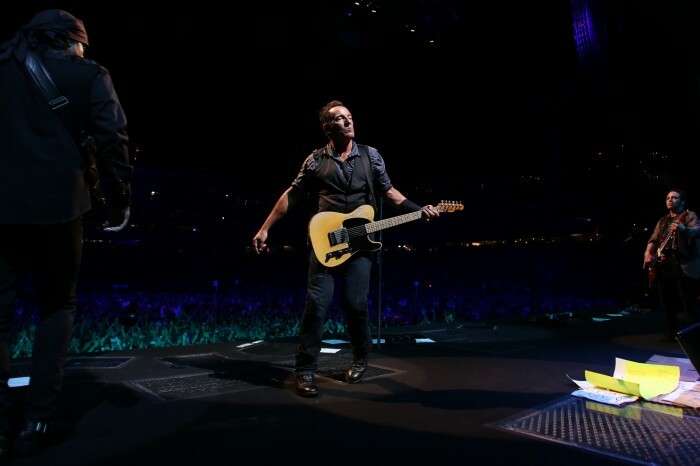 Early in the show, Bruce gave perhaps the most revealing insight into the spirit of this tour. 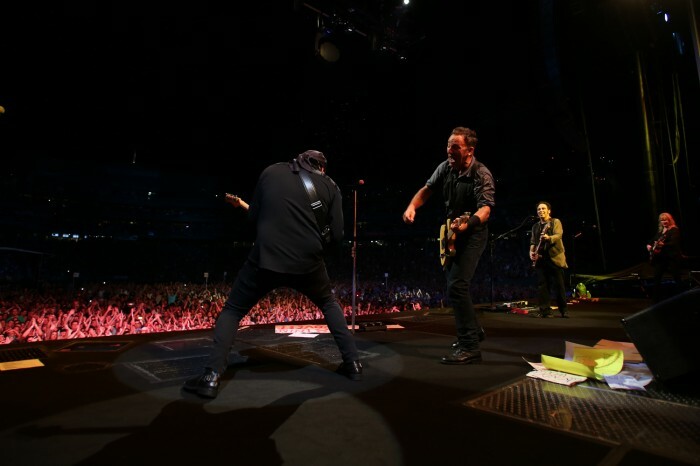 Speaking about "living with ghosts" during "My City of Ruins," he said, "They inhabit our memory," as friends and family like, "the man who they named that pole for over there [late Red Sox icon Johnny Pesky], or the man that stood over there [Clarence Clemons], or the man who sat over there [Danny Federici]. So this is for all those ghosts hanging around out here." That spirit of shared memory and struggle has driven Wrecking Ball through every barrier and here to Fenway. 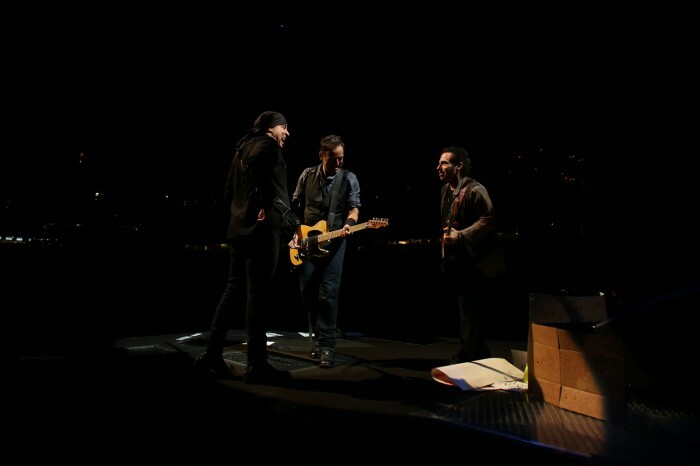 The E Street Band delivered a shock to the system for longtime fans and relative newcomers alike, with long-sidelined showstoppers like "Thundercrack," featuring a Soozie Tyrell-led harmony with Bruce and Nils, "Frankie," and the great Eddie Floyd cover "Knock On Wood." 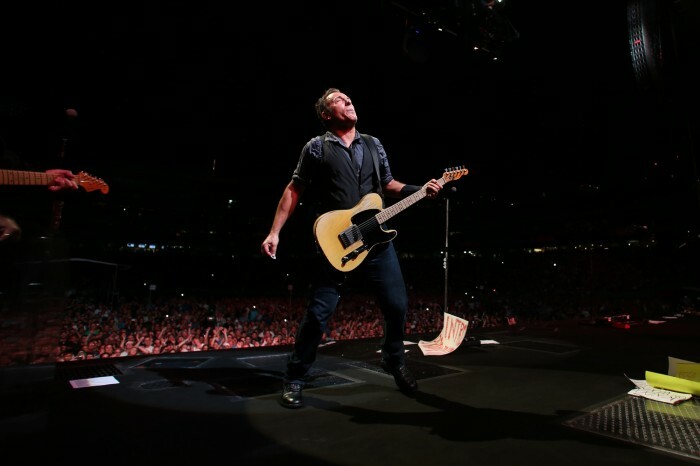 Perhaps needing some fuel to continue the show’s high energy, Bruce even ate a hot dog and chugged a beer while continuously strumming through "Working on the Highway." "Does This Bus Stop at 82nd Street?" saw Max Weinberg and Everett Bradley doing a drum battle for the Fenway fans. Both Cindy Mizelle and Michelle Moore did their blockbuster duets with Bruce during "Shackled and Drawn" and "Rocky Ground" respectively. 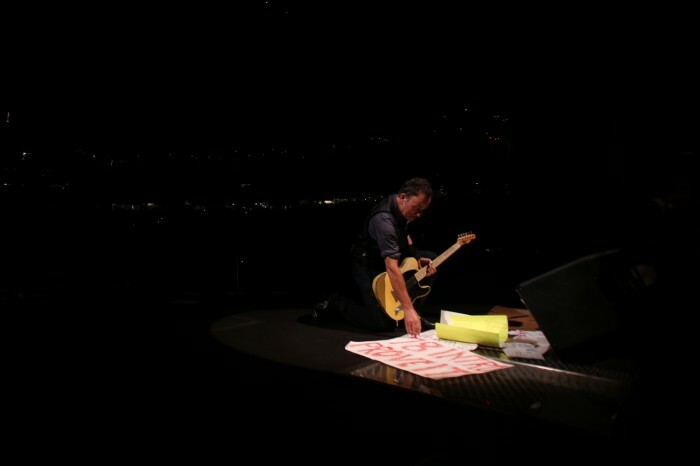 Bruce revitalized his sign requests program after "My City of Ruins," causing Roy to lead the band into the ‘78 Intro version of "Prove It All Night," as one red lettered sign displayed across Bruce’s mic stand had requested. Before the Fenway crowd left the park, the band performed the "Detroit Medley" and the rarely played "Quarter to Three," with brilliant sax work by Ed Manion. Boston-native Ken Casey, from the band Dropkick Murphys, even joined the cast on stage for the night's final song, "American Land."